Flight simulation for everyone, from 10 years old! Fighters Academy offers several flight packs to take control of our F-16 Fighting Falcon or F-35 Lightning II fighter aircraft simulators. Fighters Academy lets you order several sessions to benefit from a decreasing price. 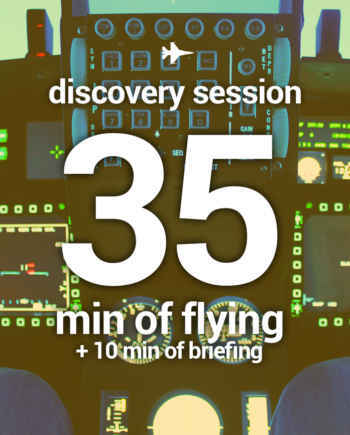 The Discovery Session is ideal for a first experience in flight simulation. 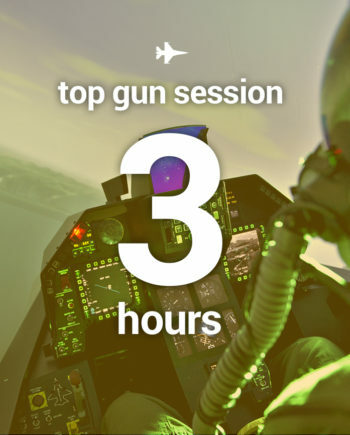 With a total duration of one hour, you will discover the basics of flying an F-16 Fighting Falcon or F-35 Lightning II fighter jet. Quickly, you will have to confront enemy planes and launch yourself into an air combat worthy of a real pilot. 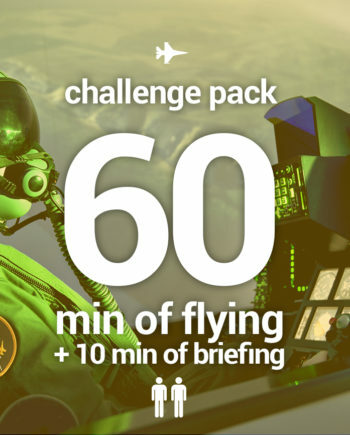 Several missions will be offered during your briefing. 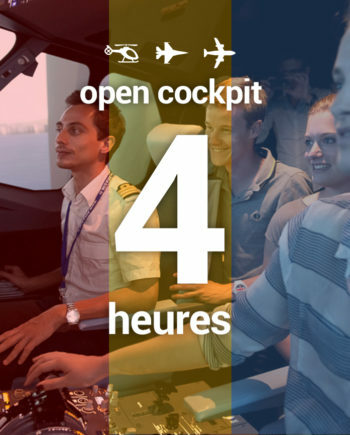 A flight simulation experience accessible from 99 €! 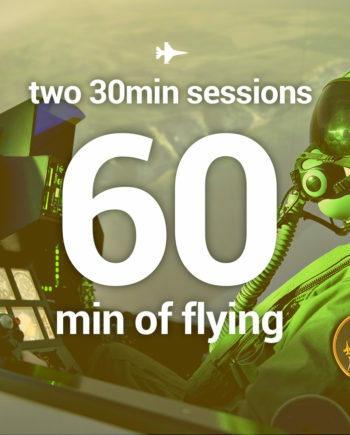 For flight sessions, a rebate will be offered for the purchase of several 30-minute flight sessions. On presentation of a student card the day of your arrival, you can also benefit from 15% of immediate discount! This special rate is only valid if the beneficiary of the pack (and not the buyer) is a student or high school student. The member card for the most passionate! Fighters Academy offers you to become a priviledged member of the network. Get your member card worth 40 € and valid for one year for significant discounts on all flight sessions. This card will also allow you to be informed of all the news of Fighters Academy. 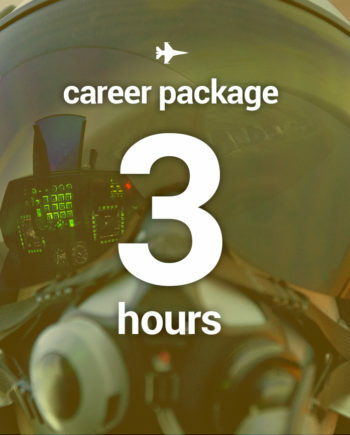 The Career Pack: gives you a longer and more complete experience to gain awesome experience on our F-16 Fighting Falcon or F-35 Lightning II fighter aircraft simulators! 3 hours of flight with the objective to succeed 5 perilous missions in 6 attempts. A difficult challenge that will seduce all enthusiasts! Leave with your logbook and the pilot’s cap of Fighters Academy. These new simulators are unique in France. They are open to all, beginners and enthusiasts, in Lyon and Metz. Take control of a Bell 206 helicopter accompanied by your instructor. With the Solo Session, ideal for a first approach, try the delicate take off of the helicopter, then fly over New York, Moscow or the Grand Canyon. Try more challenging missions by skiing in the Alps or rescue swimmers in distress in Saint Martin. Your creativity is the limit ! Do you want to try the experience for two persons ? Opt for the Crew Pack, which will allow you to take turns controlling the helicopter simulator. With the help of your instructor, slalom between the buildings of Manhattan, fly over the military parade in Moscow and then go on a takeoff in Innsbruck to drop a team of skiers on the snowy peaks of Austria. Some centers have several types of flight simulators (airliners, fighter jets and / or helicopters). We propose to take control of several simulators with multi-simulator packs. 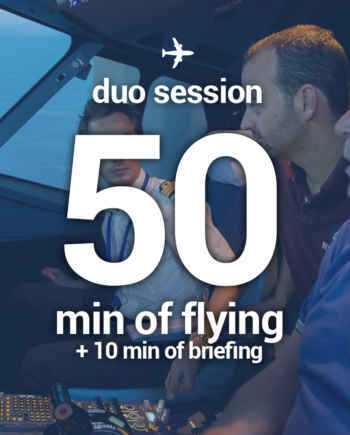 The Full Experience package will allow you to successively pilot an airliner simulator (20 minutes of briefing + 40 minutes of flight) and a combat jet simulator (10 minutes of briefing + 30 minutes of flight). This pack is valid in the centers of Lyon, Toulouse, Bordeaux, Nice, Lille, Geneva, Paris Bercy and Paris Orly Belle-Épine. 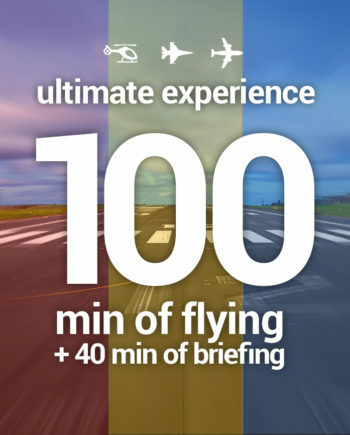 The Ultimate Experience flight simulation pack from Lyon will allow you to take control of the three types of simulators: airliner (20 minutes of briefing + 40 minutes of flight), fighter plane (10 minutes of briefing + 30 minutes of flight) and helicopter (10 minutes of briefing + 30 minutes of flight). 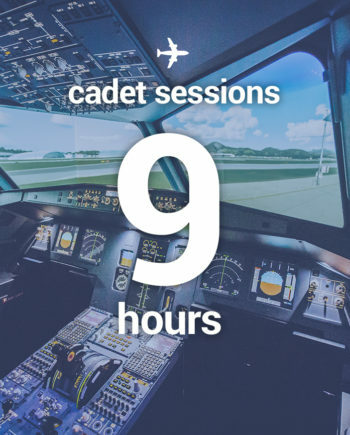 The Open Cockpit pack is dedicated to young people from 10 to 19 years and takes place over 4 hours. The AviaSim center is privatized during this pack and all the simulators of the center are accessible to this small group of young people. They are free to test all of our simulators, spend some time with our instructors and enjoy a great afternoon of fun ! Our airliner simulators are ideal for carrying out skills training or preparing for an airline selection. The program being tailor-made, you can adapt your flight simulation and training to best meet your expectations. Our team of instructors is at your service. AviaSim bundle hours packs can be done solo or in pairs, always supervised by one of our instructors. Are you nervous about flying? Your fear of flying prevents you from traveling and slows you down in your professional and personal life? Taking the opposite of group and impersonal training courses, AviaSim has set up a training course against fear in a unique and proven way! 97% of trainees are able to fly again! 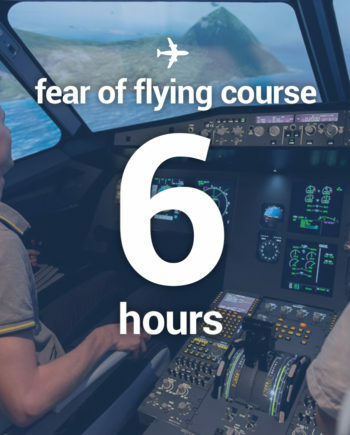 The Fear of Flying Course AviaSim is an individual internship, supervised by a professional pilot who will adapt to your fear to better answer it! The course is resolutely focused on the practice in our simulator of ultra-realistic airliner. The goal is to desecrate what is happening behind the cockpit door and give you the keys and landmarks needed to face and conquer your fear. The training course against fear of flying being an individual course, we adapt to your availabilities and those of our simulators. The internship can be done on one or more days. There are therefore no special days dedicated to this course. Session 1: exchange with your instructor to better understand your experience, your fears and answer your first questions. With this information, the course will be personalized, responding precisely to your fears. 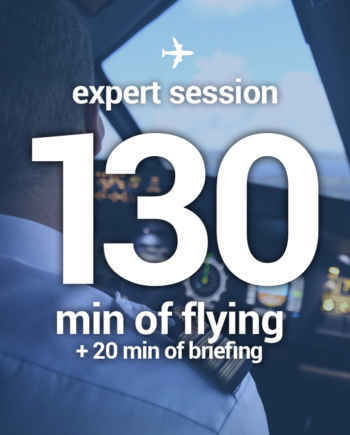 This is also the session during which we will discuss all the theoretical aspects to better help you understand how an airplane flies, safety, weather, etc. Session 2: Completion of a full flight in good weather, from the preparation of the flight plan as done by the pilots on duty in the airlines, to the flight from one airport to another. Good weather, good flying conditions. 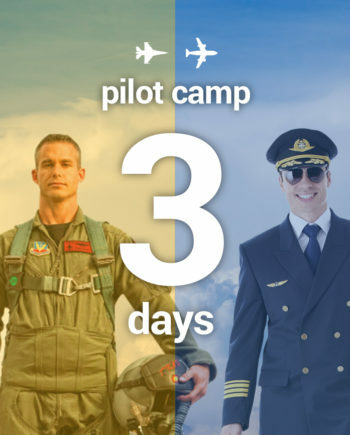 The objective will be to introduce you to the profession of pilot. It is a first approach of the cockpit and the flight on airliner. Session 3: discovery of complex flights. The flights are not always in the middle of the day and in good weather. This third session will be an opportunity to address the deteriorated flight conditions (bad weather, breakdowns, etc.). This step will show that everything is done to ensure the safety of passengers. Each one of our simulation sessions is suitable for both beginners and enthusiasts, our instructors adapt to each customer to make it an unforgettable experience at AviaSim! 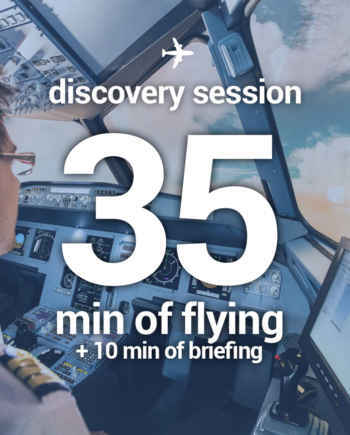 The Discovery Session allows for the first immersion on board without getting too many technical details so you can make several laps at several airports! 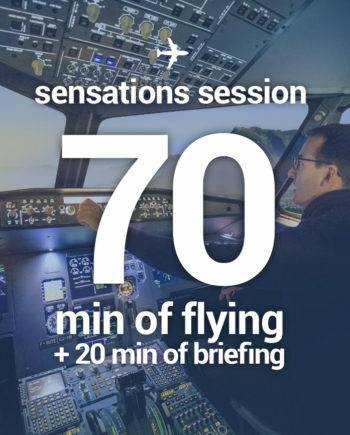 With the Sensations Session, spice up your flight simulation session by opting for a degraded weather, breakdowns or testing some of the most complicated airports. For example, land on the old Hong Kong airport (Kai Tak) and its approach between the buildings, so you will make your flight simulation session an unprecedented experience. Share a moment with family or friends with the Duo Session! The latter is a simulation flight offer suitable for couples or children wishing to learn to pilot an airliner. Fly with your son, your wife or any friend or colleague. The accompanying seats allow you to share this moment with family or friends. You are a fan of aviation or avgeek, you practice flight simulation on your computer or a replica plane? 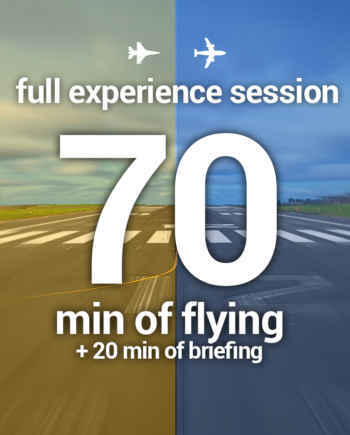 Come test yourself against professional pilots who will allow you to fly in a real environment with the real procedures during a flight simulation session. Why not try an emergency landing with a succession of failures at an airport deemed difficult? With the Expert Pack, the experience is limitless and the pleasure immense!